This Garden Herb Focaccia is rich with extra virgin olive oil and herbs fresh from my garden. I got one thing to say, this garden herb focaccia needs to be drug thru a puddle of extra virgin olive oil or whatever pasta sauce you have on your plate. If you do not do either of these then I feel real sorry for you. I made this herb focaccia for my #Breadbakers group. 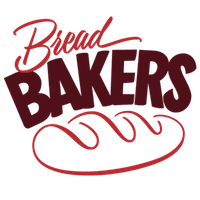 This months #breadbaker is hosted by Cooks Hideout. Turn on a floured surface; kneed until smooth and elastic about 6 minutes. Add herbs and kneed into dough. Place dough in a greased bowl, turning once to grease the top. Cover and let rise in a warm place until doubled, about 1 hour. Punch dough down. Cover and let rest for 10 minutes. Placed on a baking tray. Cover and let rise until doubled about 30 minutes. With fingertips make several dimples over top of dough. EVOO makes everything good even better! Your kitchen must have smelt heavenly with all those fresh herbs. Foccacia looks so yum. I will have mine with a big plate of pasta and a side of olive oil please. Foccacia is such a great bread for mopping up your plate and this one looks amazing! Foccacia is one of my very favorite breads, and your bread came out amazing. I agree that it’s the perfect bread for EVOO and parmesan dipping. I was just telling my mom about this fabulous sandwich idea using herbed foccaccia! Gotta make this! Give me the sauce and the oil. I love herbed focaccia. Your bread looks amazing. I’ll drag mine through both!! Sounds amazing! Foccacia with herbs look so inviting..
Foccacia is one of my favourite kinds of bread, all the herb addition sound divine. This bread would make a delicious sandwich! This would be the perfect dipping bread and I have just the mixture for it since my husband came back from Italy with some special aged balsamic and olive oil. Lovely bread, Vonnie! Your foccacia looks so delicious, must have smelled so good.. I love foccacia a lot especially its herb oil so yumm to have a bite………………..
Oh how funny! Besides, focaccia would not be right if it wasn’t dipped in olive oil. Focaccia with herbs is so flavorful and perfect to dunk in some good evoo.